Foundation of MINERSA (Minerales y Productos Derivados, S.A.), which initiates its operations to extract, concentrate and comercialize industrial minerals. At that time , fluorspar and byproducts such as lead and zinc concentrates. Foundation of S.A. SULQUISA. 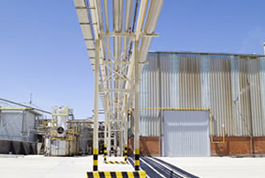 Minersa expands its activities to the Anhydrous Sodium Sulphate of the highest quality. Sulquisa will be succesively expanded in later years. Foundation of SEPIOL, S.A., which is intitially focused to the extraction and comercialisation of sepiolite. Sepiolsa extends its activity to the extraction and comercialisation of bentonite. MINERSA acquires DERIVADOS DEL FLUOR, S.A. (DDF). This company had originally been created as a chemical division within Minersa, but it was later separated and sold to Bayer. DDF is today one of the most important inorganic fluorochemical producers in Europe. Foundation of MIMEX intended as a company to import minerals and chemical products to complement those produced by Minersa and so provide a better service to the customers of the group. Mimex has developed as an open trading company. MINERSA increases its interest in the fluorspar business by the acquisition of a minority share of Vergenoeg in South Africa. 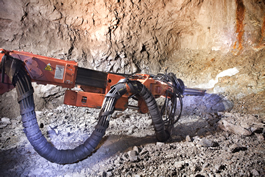 Minersa starts to supply know-how to that operation (technology, marketing...) . Foundation of ANHIVEL. This company specializes in the development, production and comercialisation of self leveling floors of high ecological value. MINERSA reaffirms its commitment with South Africa by the acquisition of a mayority share of VERGENOEG, and by the continuation of the efforts to turn it into one of the most important fluorspar producers in the World. By this time we had already provided the most extensive and diversified customer base, whcih are spread in all continents. MINERSA is 70 years old (or young! ). We have gaigned a tremendous wealth in experience and knowledge and achieved leading positions in fluorspar, sodium sulphate, sepiolite... Our plants and offices extend to Spain, France, Italy, Belgium, Germany, Senegal, China and South Africa, and we are ready to grow.